Erectile dysfunction ads too hot for TV? 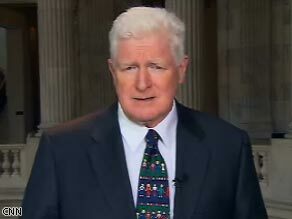 Rep. Jim Moran wants to limit the time of day ads for erectile dysfunction medicine can air on TV. You’ve all seen them. Those ubiquitous TV ads where a simple little pill transforms a man suffering from erectile dysfunction, or ED, into a virile tiger who puts a smile on the face of his now beaming wife. Well, Representative Jim Moran (D-VA) has seen them too, and you’d be hard pressed to see a smile on his face when he talks about the ads. Enter H.R. 2175. That’s a bill that Rep. Moran introduced last month that would prohibit any ED ads from airing on broadcast radio and TV between 6AM and 10PM. The bill advises the Federal Communications Commission to treat these ads as “indecent” and instruct stations to restrict their broadcast to late night and overnight hours. So, could it be adios to all of those “Viva Viagra” commercials that play on network television on weekends and during the evening? Could the same be said for the Cialis couple sitting in outdoor tubs looking out at the sunset? And could Levitra also be shunned to the overnight hours? CNN asked Pfzier, which makes Viagra, the first pill available by prescription to treat ED, what they thought of Rep. Moran’s bill. "Pfizer is committed to responsible advertising... In line with our policies and the policies of the industry, Viagra advertising is aired in shows most likely to reach men suffering from erectile dysfunction. ED can be a signal for other serious medical issues, including high blood pressure, diabetes and cardiovascular disease." We asked several people on the streets of Atlanta for their opinions.